Joe Joswiak’s experience with finding the right IT vendor went from one extreme to another before he found the right one. The first one was too small. The next one was too big. Then he found the one that was just right. Little did he know when he started his search, that he would not only end up with the right IT support company, but he would also gain a business partner that would help him improve operations while taking IT off his plate. Joe is the CFO for Chino Basin Watermaster, an organization whose task is to gather, store and distribute data related to water rights going back to 1977. Before coming to Watermaster in 2010, Joe had worked for corporations where IT was delivered on a much larger scale. When he began to oversee operations for the small staff at Watermaster, it meant that IT became one of the many hats that he wore. Not an IT expert himself, Joe hired various IT consultants over the years but whenever anyone had a technology problem, it was dumped on his lap. Joe’s efforts to help his staff were slowed by the response time of their one-person IT support provider and he was concerned that relying on a single person put their organization in a precarious position. He thought going to a bigger IT company would help, but the situation with response time didn’t improve. 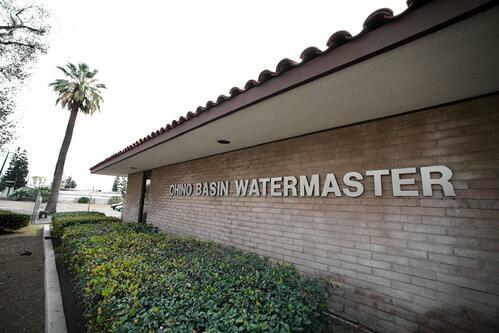 Instead of having access to more IT capacity, it was apparent that Chino Basin Watermaster wasn’t as important as their big corporate clients and their requests for support still lagged on for days. When Joe started looking for a local company, his search turned up Accent Computer Solutions. As he talked with colleagues at other water agencies in Southern California he discovered that both Three Valleys Municipal Water District and Western Municipal Water Districts were very satisfied Accent clients. Joe’s research convinced him that Accent was the best choice. As they began working together, the Accent team identified and prioritized initiatives that were needed to build a reliable information technology foundation and a plan for future improvements. These included establishing a reliable backup system, improving wireless connectivity at their location, new firewall technology, VPN connections and more secure data storage. Replacing staff computers and putting them on a regular replacement schedule has made the staff extremely happy. Previously everyone kept their computers until they broke which stalled their work at unpredictable moments and tanked their productivity. Now they know that their technology is not going to let them down and that the Accent help desk will respond within minutes when an issue does arise. Joe says that they have made more progress with IT in six to seven months with Accent, than they did in the previous 10 years. He appreciates the knowledge and expertise that the Accent team brings to help him become aware of all his options and guide him in decision making about IT investments. Learn more about Managed IT Services and Consulting for California Water Agencies.